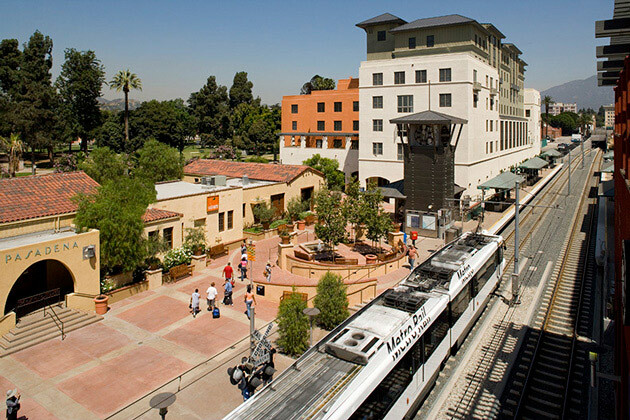 Del Mar Station is a transit-oriented development surrounding a prominent Metro Station on the Gold Line, which connects Los Angeles and Pasadena. 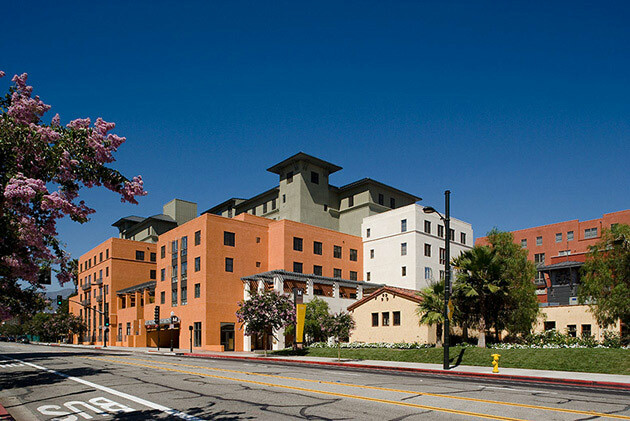 Located at the southern edge of downtown Pasadena, it serves as a gateway to the city with 347 apartments, 15% of which are affordable units. 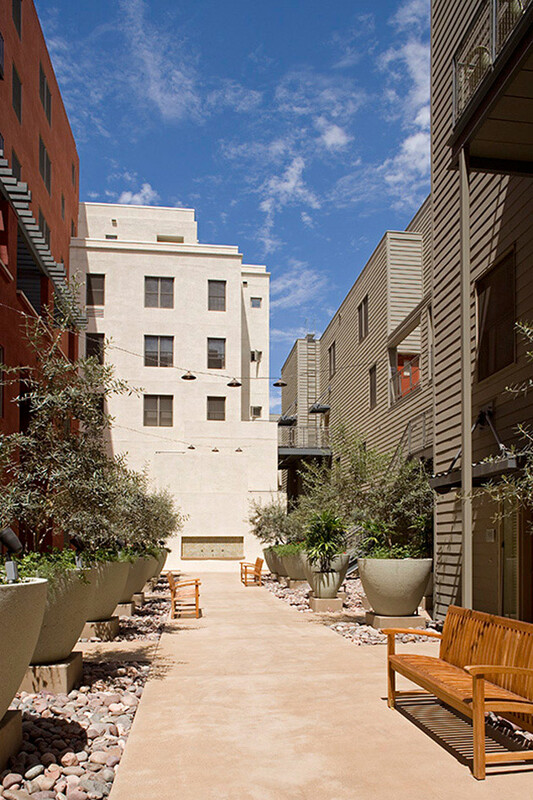 Approximately 20,000 square feet of retail is linked with a network of public plazas, paseos and private courtyards. The 3.4-acre, $77 million project sits above a 1,200-car multi-level subterranean parking garage, with 600 spaces dedicated to transit. 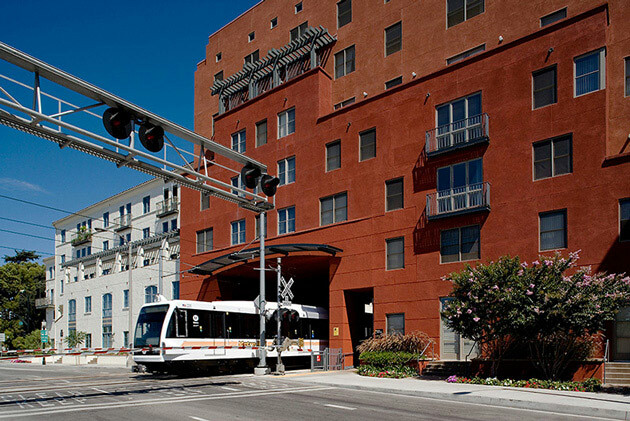 The light rail right of way, detailed as a public street, bisects the site. 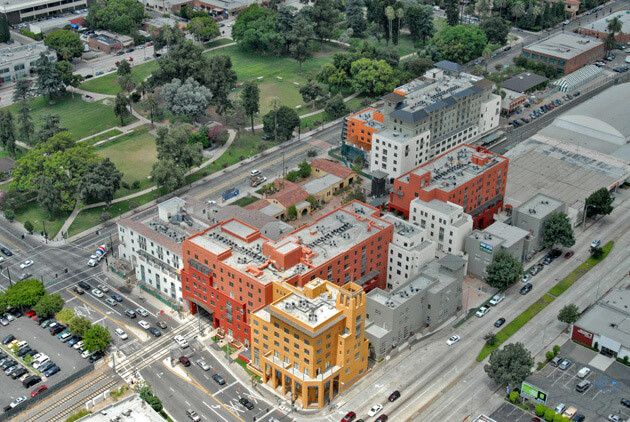 A blended density project with 100 units per acre, Del Mar Station remains consistent with the height and mass of the surrounding buildings and the existing traffic handling capacity of adjacent streets. 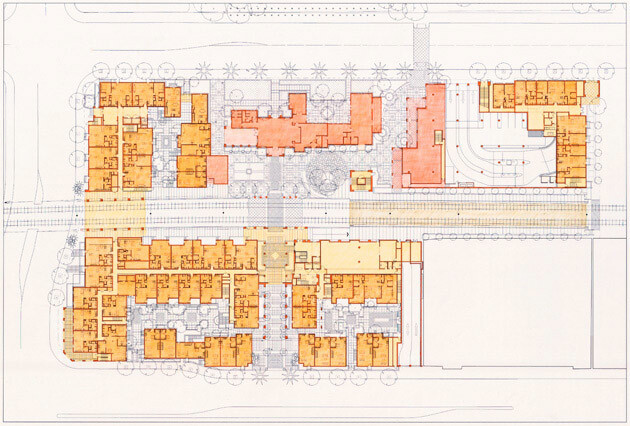 The project comprises four separate buildings which vary typologically and stylistically. 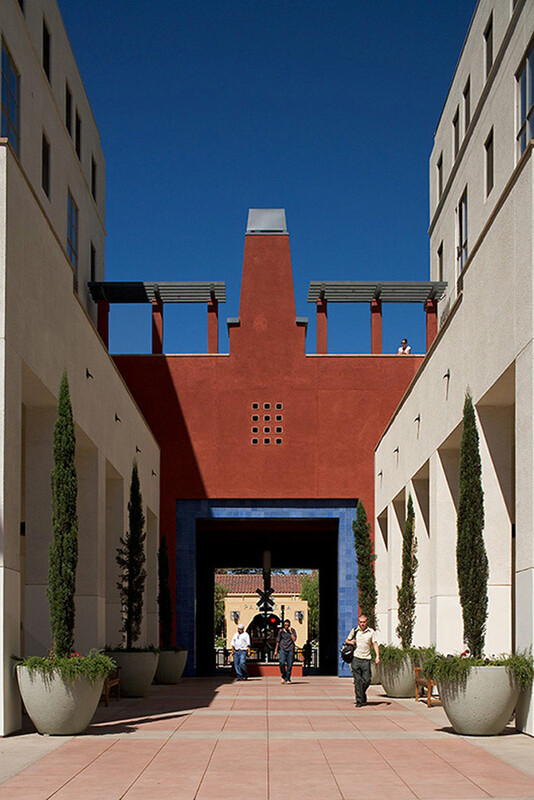 Individual details such as exterior cladding, windows and doors, balcony types, building color, roof materials, landscape, and exterior lighting fixtures vary as well. 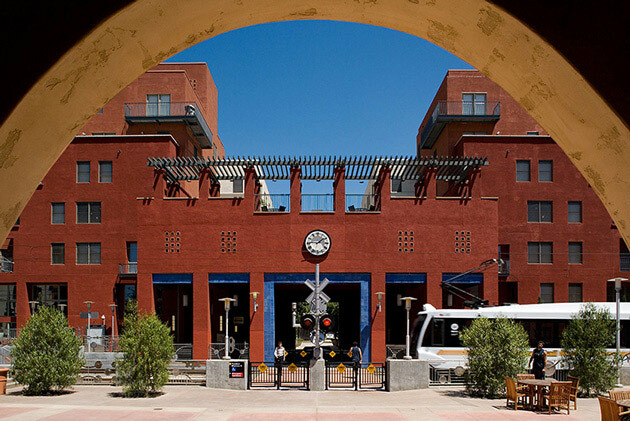 The historic Santa Fe train depot, a central feature of the site, was rehabilitated to Secretary of Interior’s Standards and now houses a popular restaurant.